We understand that every company is unique and may require different types of cloud services in order to meet a variety of needs. Houston TechSys offers hybrid cloud computing, which employs both private and public cloud services. Our goal is to help build a well-managed computing environment and value to your company. That way, you’ll get the security and functionality that you need to run your business efficiently. Important data is replicated to a cloud solution, which provides data insurance in the event of a disaster. This means continued accessibility to your company’s data with little to no downtime. Enjoy the advantages & scalability of public cloud resources, while also using a private cloud to ensure data security of sensitive material. 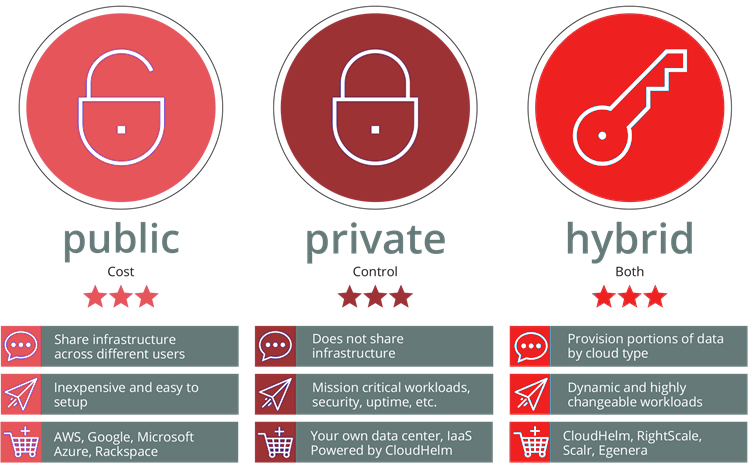 A hybrid cloud approach lets you separate critical workloads from less-sensitive workloads and allows you to match your actual data management requirements.